Kitty Brown and Kirsten Parkinson are cousins who've worked together on creating brilliant bilingual board books in te reo Māori and English with Reo Pepi. 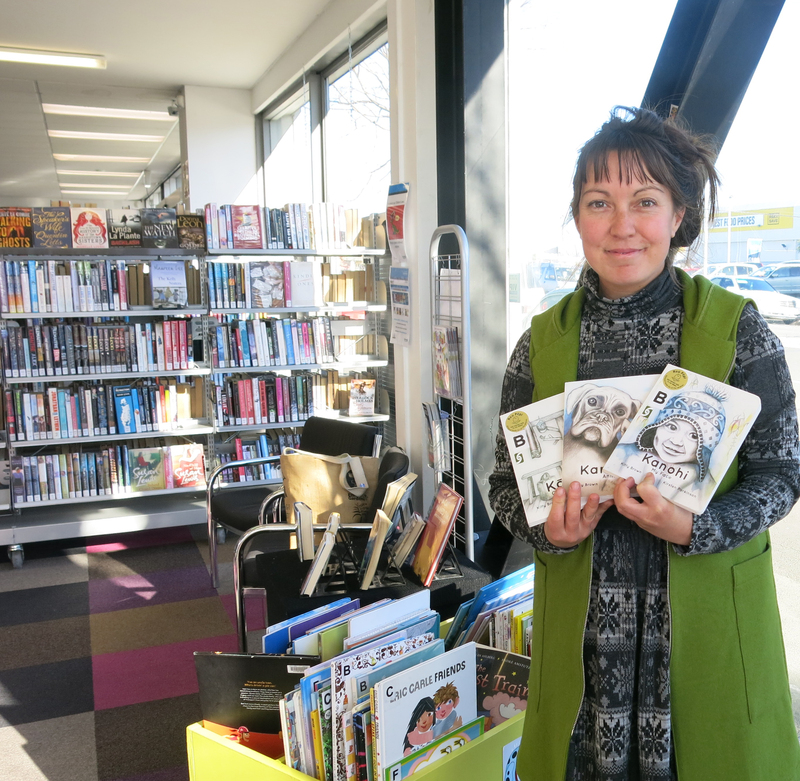 Kitty is here in Ōtautahi, and is presenting a special Storytimes / Wā Kōrero at New Brighton Library on Tuesday 5 July for Te Wiki o Te Reo Māori. We had a kōrero with her. Kitty and her whānau are in Ōtautahi for a while, visiting their granny who lives in New Brighton. Her husband and son Tama are now living in a housebus and Christchurch is the first stop in their plan to visit places and be location free. Her co-author Kirsten is a dance teacher and has a Fine Arts degree - as Kitty says "she works fulltime, she's got 3 kids, she's a major overachiever!" Tell us a bit about the special Storytimes / Wā Kōrero you are doing at New Brighton Library on Tuesday 5 July. I will also do a selection of my faves. I am a huge fan of reading aloud. 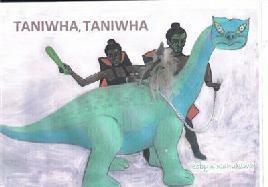 One favourite is Taniwha taniwha by Robyn Kahukiwa which she wrote for her moko (grandchildren). I will also do a couple of waiata. Tama and I go along to the one at New Brighton Library so I know how it rolls and I know what not to do! What gave you the idea of doing bilingual books? Kirsten and I both had pepi at the same time - Mihi is only about four months younger than Tama. We were both on maternity leave at the same time, and we're cousins. We live around the corner from each other; we are really close - then we had babies and we needed to really reconnect with our reo ourselves. We thought what better time to do it than with our own pepi - they are learning to speak, we're learning to speak. But what happened is we couldn't find many resources. There's not enough, and there's not enough beautiful resources. There's not enough durable, chewable books that we can share with our pepi after you've used every one at the library and you're getting the same ones out again. We just saw that there was a lack. We had the same idea. She started drawing, and I started researching text. We'd probably still be doing that now if it wasn't for the support of Te Pūtahitanga. They gave us startup money to publish our pukapuka. What role does the library play for you and your whānau? The library in Dunedin to us is quite important to our lives. Libraries are integral. 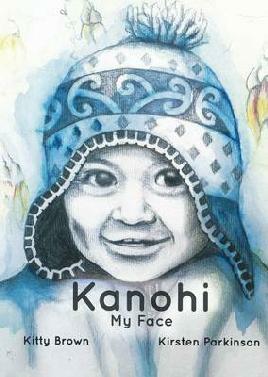 We had a lovely email from a whānau who had found the Kanohi book at their local library. They sent us a photograph of their daughter and she had the same hat on that's in the book. Because it's in the pukapuka that she got from the library she's wanting to wear this hat all the time. Libraries are really important so that those resources get to the whānau. For us going to the library and getting the books out from the Māori section is important - we're really proud to be contributing to that section to make sure it has more resources and whānau find new things there. You can never have too many books. Are there any books or resources you'd recommend if you want your tamaraki and whānau to be bilingual? Māori made easy by Scotty Morrison. Thirty minutes a day, sort of like a prescription. What next for you and Reo Pepi? After that there will be a third set of 3 books. We are looking into additional resources like posters and wall charts. We're going to the IBBY International Congress in August. We are going to have a stall there. It's majorly exciting - we'll be going to Joy Cowley's 80th birthday at Auckland Library! If you are flying to Auckland or elsewhere, you might spot Kitty and Kirsten's Reo Pepi mentioned in the latest Air New Zealand Kia ora magazine! Find board books by Kitty Brown and Kirsty Parkinson in our collection. Visit the Reo Pepi website. Read teacher Rachel Moore's splendid review on the Booksellers New Zealand website. See our Te Wiki o Te Reo Māori information. 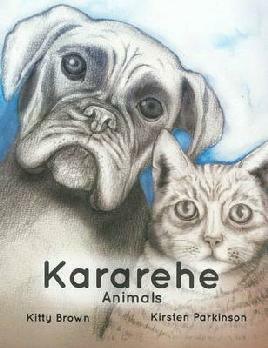 Find more Pukapuka Whakaahua (Māori picture books) in our collection.